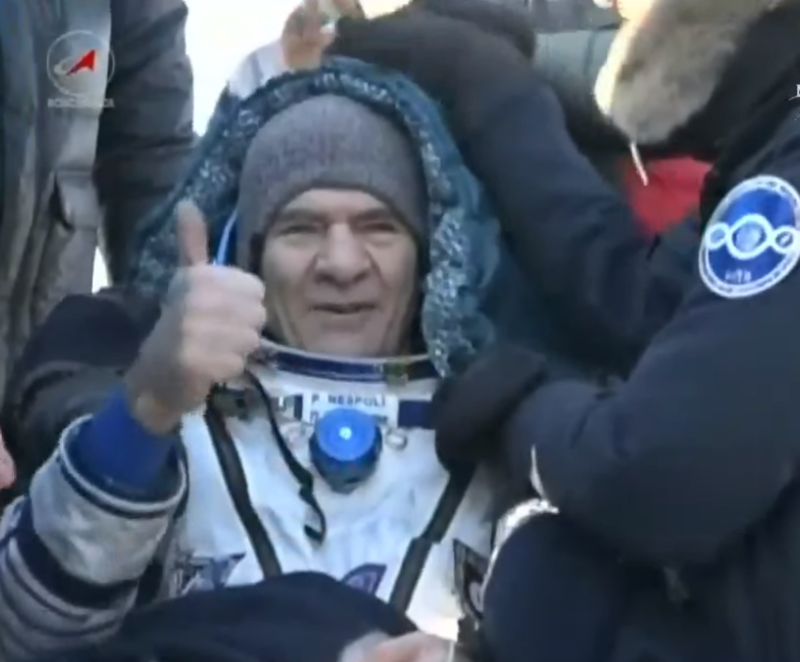 After 138 days of the VITA mission it was time to return to Earth for ESA astronaut Paolo Nespoli. After brief farewells the departing astronauts climbed into their Soyuz MS-05 and closed the Soyuz and Space Station hatches at 02:02 GMT. Extensive leak checks were conducted on both the Soyuz spacecraft and the Sokol suits the astronauts wore for the voyage home. 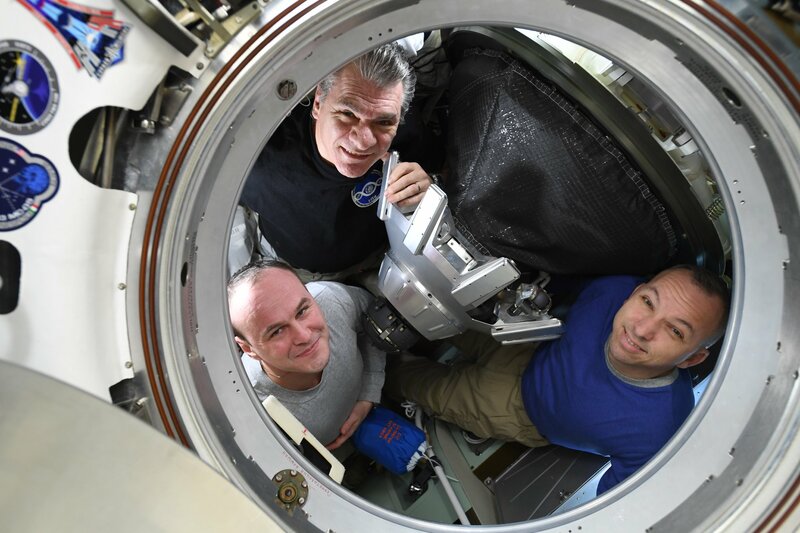 The International Space Station was turned to orient the Soyuz in a suitable direction for undocking. The command for separation was sent with hooks retracting to push the Soyuz away at 05:15 GMT. A thruster was fired on the Soyuz for eight seconds once it was clear of the Space Station to propel it further and faster away. At 07:44 GMT the Soyuz started a 4:04 minute burn to reduce its speed by 128 m/s and reenter into Earth’s atmosphere. Soon afterwards at 08:12 GMT the spacecraft separated into three parts, only the descent module with the astronauts survives reentry. At these speeds the friction from the atmosphere caused the spacecraft module to reach temperatures of 1600°C making all radio contact impossible. Parachutes deployed at 08:23 at 10 km altitude to slow the trio down further. 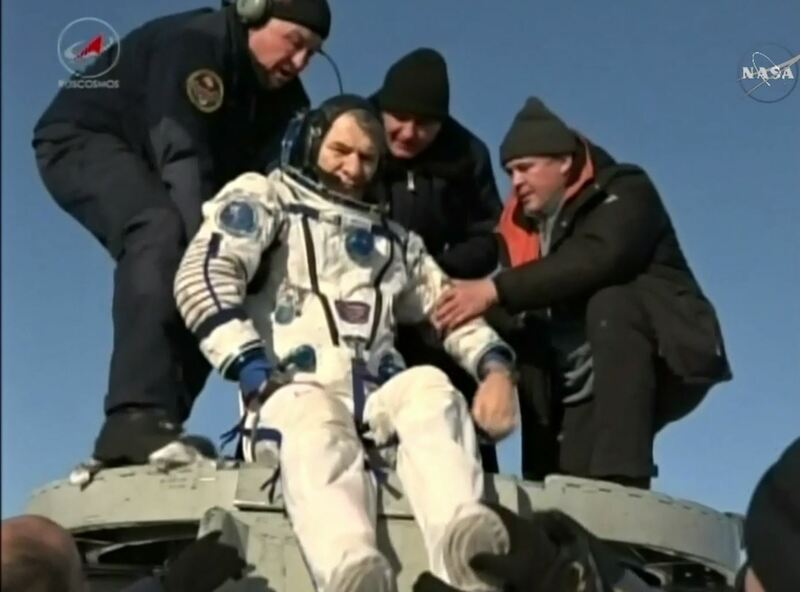 Touchdown was confirmed at 08:37 with the astronauts quickly being recovered and sent to the medical tent for checkups.